StoryWalk is a self-led program where participants walk from the library, through Mouat Park to the pool, following the story along the path. Fun for all ages! 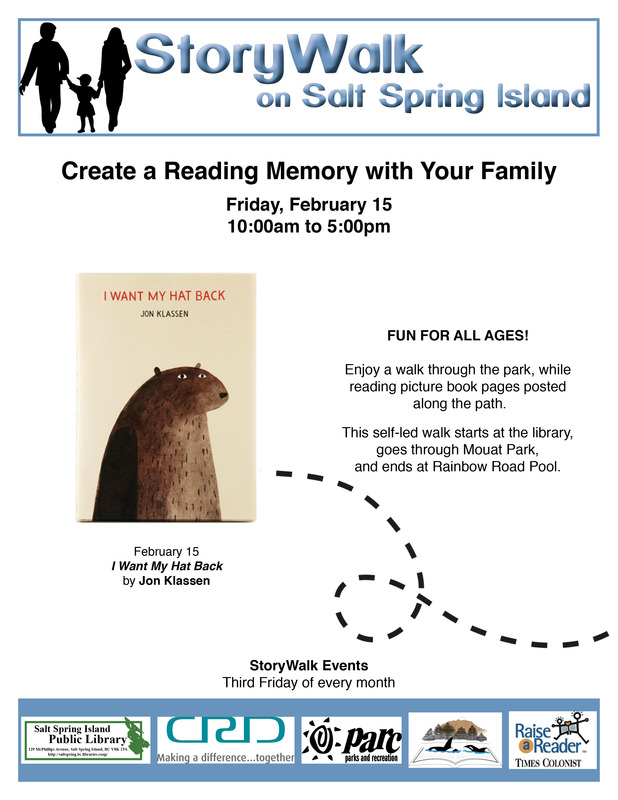 Presented in partnership with CRD Parc with funding from Island Link Library Federation.